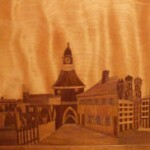 Four Cities (Oswiecim, Munich, Weiden, Cleveland), woodcut 1968. 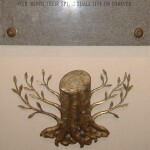 A truncated tree relief sculpture is hung below a Holocaust memorial plaque at the back of the sanctuary at Congregation Shaarey Tikvah in Beachwood, Ohio. 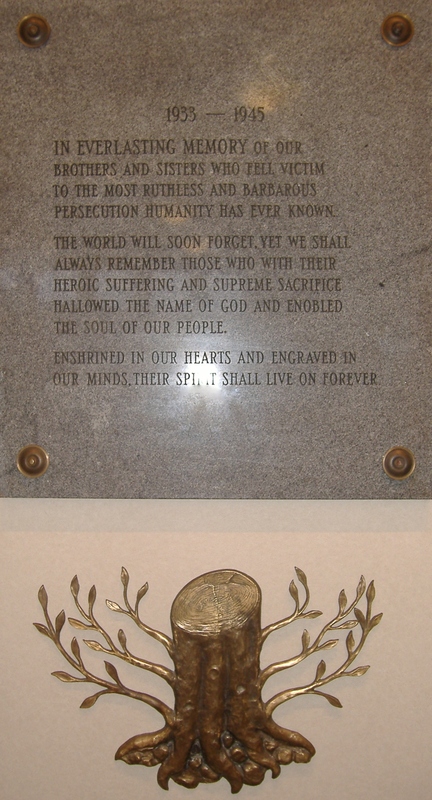 The sculpture was designed by Holocaust survivor Jacob Hennenberg. 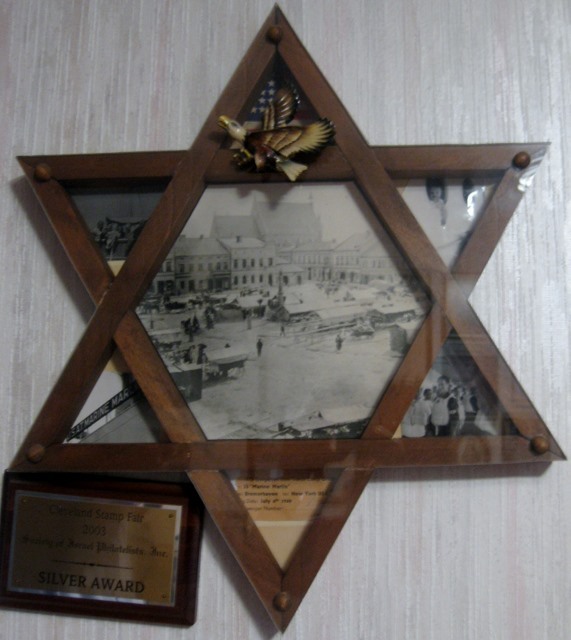 It was manufactured in the 1950s in Cleveland at the Alcraft Manufacturing Company, a metalworking company owned by another Holocaust survivor, Alfred Chimowicz. The tree cut off at the trunk represents the lives cut short by the Holocaust. 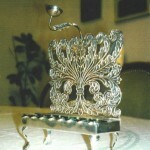 6 foot tall Shoah Candelabrum designed by Jacob Hennenberg. 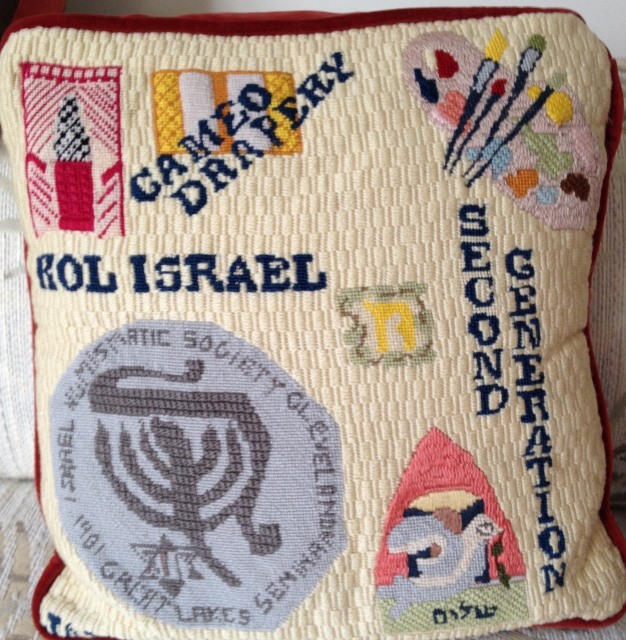 Used every year in the Cleveland Yom Hashoah Commemoration ceremony. 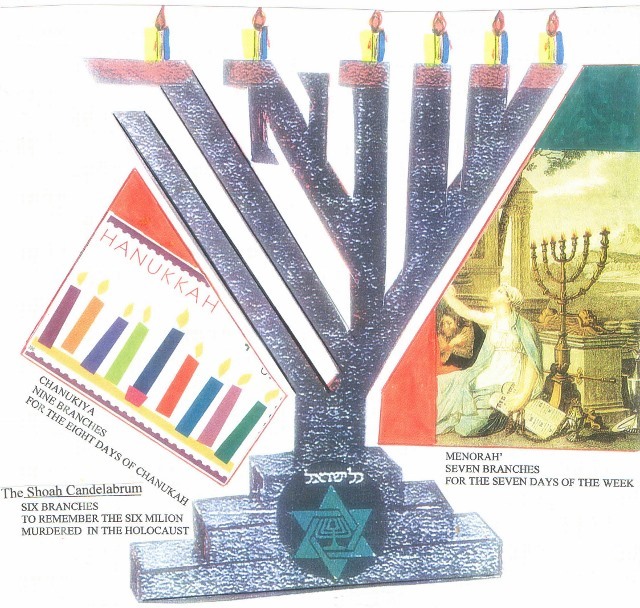 The six brnches represent the six million Jews that perished in the Holocaust and spell out the word Shoah in Hebrew. 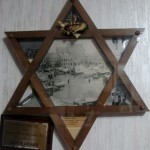 Star of David Frame, 1946. Wood. 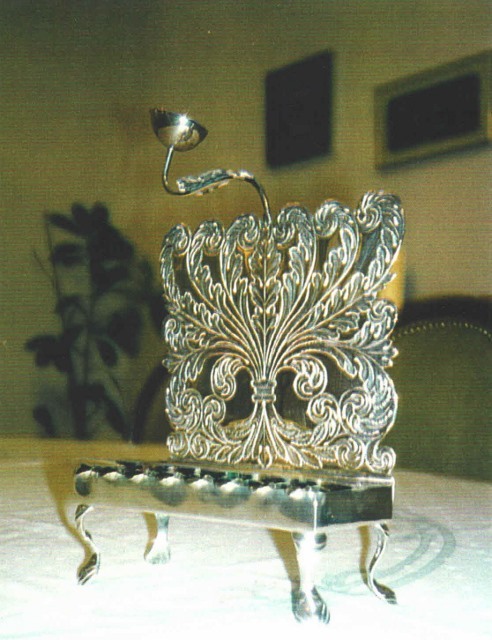 Jacob designed the frame during his time at Kibbutz Nili just after the War. He updated it with photos and keepsakes that were important to him after his journey to the US. The center photo is Oswiecim town square on market day before the War. In the points: American flag with Bald Eagle, and photos from their journey to America. 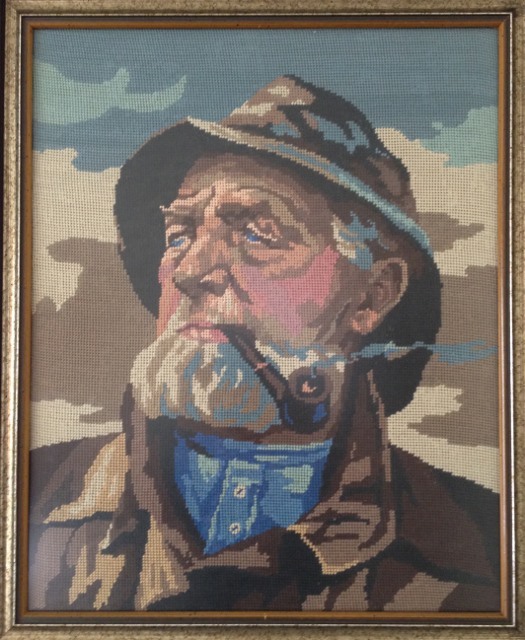 Old Man of the Sea, needlepoint by Karola Grubner Maringer nee Hennenberg.